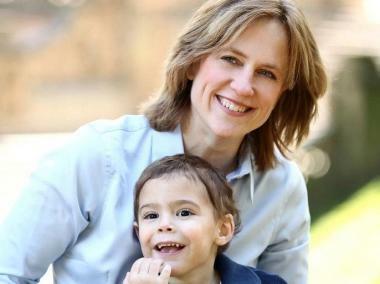 Melinda Katz and her son Carter. QUEENS — Former City Councilwoman Melinda Katz, who racked up endorsements across the borough, won the Democratic primary Tuesday for Queens borough president. Katz picked up 45 percent of the vote, with nearly all of the precincts reporting, topping her main rival, City Councilman Peter Vallone Jr., who received 34 percent. Long-shot candidate Everly Brown received 12 percent and State Senator Tony Avella, who dropped out of the race last month but whose name was still on the ballot, received 9 percent. The race to replace Helen Marshall, who was term limited out of the borough president seat, began as a crowded field that included State Senator Jose Peralta, Councilman Leroy Comrie and Borough Hall staffer Barry Grodenchik. Those candidates later endorsed Katz after dropping out. She also picked up Marshall's endorsement and that of the Queens Democratic Party. She'll face Republican Tony Arcabascio in the November general election.